A U.S. made range designed to harness the nutrient rich properties of pure Mineral Extracts, Mineral Fusion products combine the best natural and plant-based ingredients to create incredibly effective and nourishing makeup, skin care and hair care. 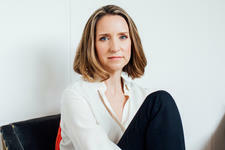 To help introduce this amazing range, I've put together this guide to my top picks. There's nothing I love more than natural and organic brands which combine the best of natural skin care and makeup to create multi-tasking products which truly look after our skin. 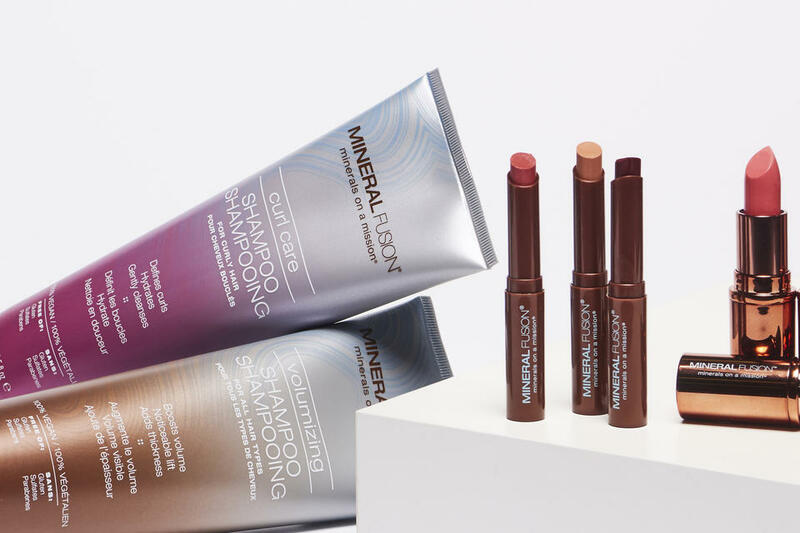 Established 10 years ago in the U.S., Mineral Fusion produces high performance natural makeup, skin care and hair care enriched with pure Mineral Extracts and plant-based ingredients designed to nourish, protect and condition skin. Ideal for even the most sensitive skin types, each product is Gluten Free and does not contain any artificial colours or synthetic fragrances. 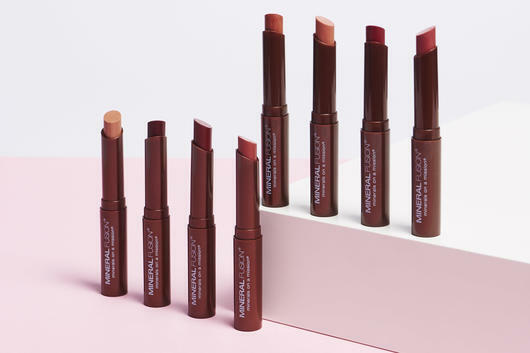 The entire range is also Certified Cruelty Free by the Leaping Bunny, packaged in sustainable, eco-friendly materials which can be recycled after use and EWG Verified to meet strict ingredient, manufacturing and labelling standards. I also love the fact that Mineral Fusion is official partners with the U.S. National Coalition Against Domestic Violence, donating a portion of their sales to support the organisation as well as providing products to the NCADV’s shelter network. 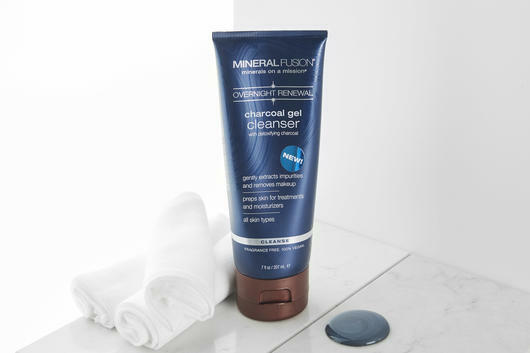 Perfect for all skin types but especially acne prone skin, the Mineral Fusion Charcoal Gel Cleanser is a detoxifying facial cleanser designed to gently clear pores, extract impurities and thoroughly remove makeup. Hypoallergenic and fragrance free, this deeply penetrating cleanser harnesses the ultra-absorbent properties of Charcoal as well as nourishing Vitamin E, Coconut Oil and Aloe Vera to remove grime and build-up as well as minimise the occurrence of blackheads. Ideal for nighttime use, this Vegan and Gluten Free cleanser can be gently massaged onto damp skin, rinsed away with warm water, then follow with your favourite night cream or serum. 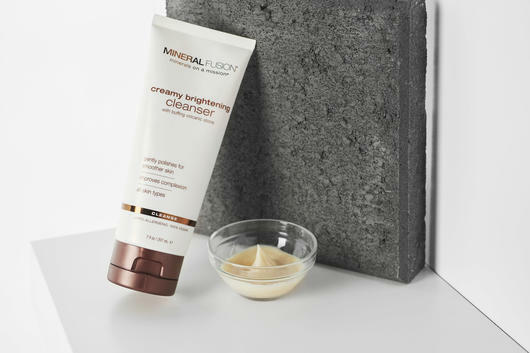 Ideal for those who want smoother, brighter skin, the Mineral Fusion Creamy Brightening Cleanser contains antioxidant rich Vitamin C, Green Tea, Rosehip and Orange Oils to brighten the complexion and lighten dark spots, while nourishing Shea Butter, Cucumber and Aloe Vera soothe and soften sensitive skin. With Mineral Extracts to boost the skin's natural radiance, this creamy formula also contains Volcanic Stone to lightly exfoliate and polish the complexion, making it an ideal daily facial cleanser to help prep the skin before makeup application. 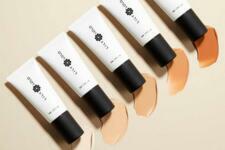 Vegan and Gluten Free, it's perfect for promoting clearer skin. With a fine felt tip for precise application, the Mineral Fusion Liquid Mineral Eyeliner in Ebony is a long-lasting, smudge-free black eyeliner pigmented with pure Mineral Extracts. 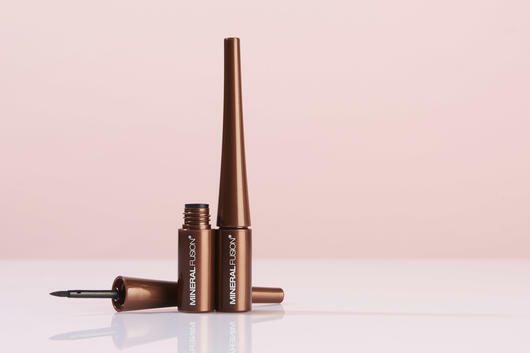 Non-irritating and Gluten Free, this gentle liquid eyeliner glides on smoothly, with soothing Rosemary, Chamomile, Aloe Vera and Vitamin E to nourish the sensitive, delicate skin around the eyes. To use, sweep along the lash line. For a thin line use the very tip, for a thicker line use the side of the applicator. A rich mauve berry hue, the Mineral Fusion Lipstick Butter in Delicious leaves a light wash of colour over the lips for a subtle flush. With nourishing Avocado Oil, Cocoa Butter, Shea Butter and Cranberry Seed Oil, this creamy soft formula glides on smoothly to keep lips hydrated, soft and supple and may prevent cracking. Richly pigmented from Mineral Extracts, this buttery soft lipstick is Vegan and Gluten Free and is great for keeping in your handbag for quick and easy colour touch-ups. 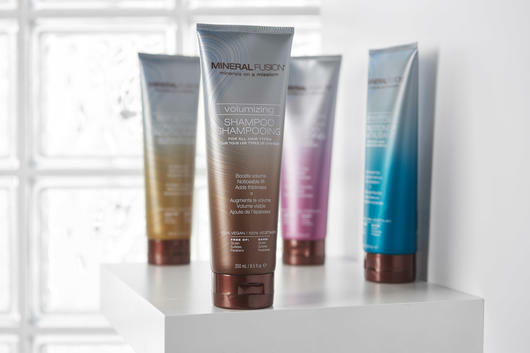 Designed to provide lasting volume and thickness to thin, flat and fine hair, the Mineral Fusion Volumising Shampoo contains strengthening Argan, Jojoba and Pomegranate Oils as well as Mineral Extracts to add noticeable lift and volume without weighing hair down. Vegan and Gluten Free, this lightweight yet deeply hydrating shampoo also contains nourishing Aloe Vera and Vitamin B5 to replenish each strand with rich moisture and promote fuller hair. 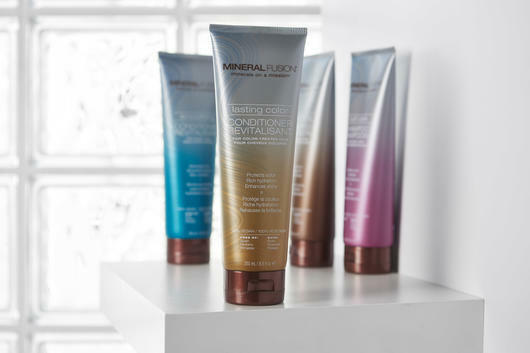 Ideal for those with coloured hair, the Mineral Fusion Conditioner Lasting Colour has been formulated to prevent colour fading and actually increase the longevity of colour by up to 18%. With nourishing Argan Oil, Mongongo Seed, Vitamin B5, Olive Oil and Vitamin E, this hydrating conditioner locks in moisture to keep colour vibrant and lustrous with added shine. Gluten Free and Vegan, this protective conditioner is perfect for those wanting to increase the life of their hair colour for fewer visits to the salon.